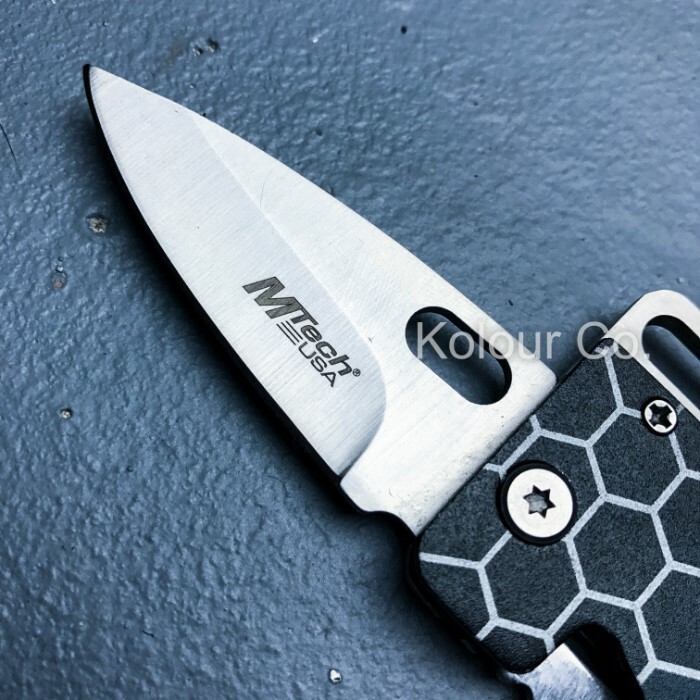 MTech USA Field Card Pocket Knife and Multi-Tool | Slimline Rectangular Design | Metallic Gray | BUDK.com - Knives & Swords At The Lowest Prices! 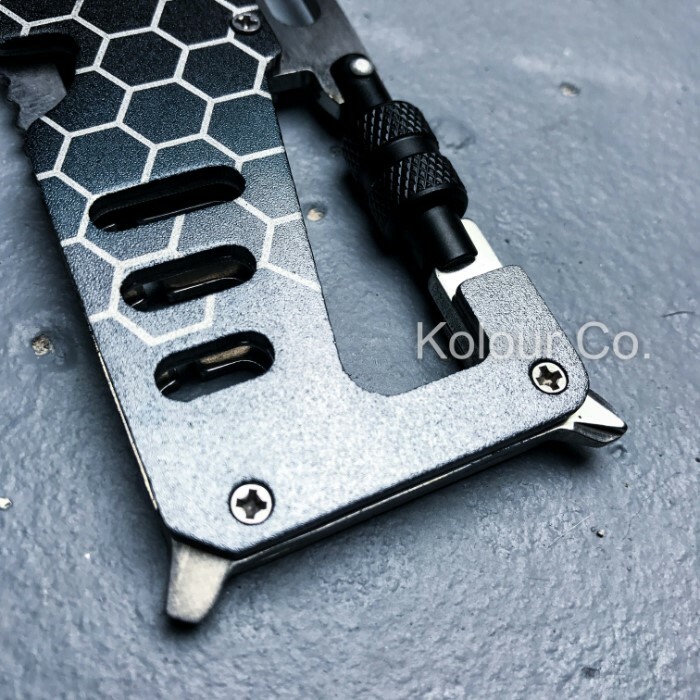 MTech USA's undeniably unique "Field Card" puts an innovative spin on the classic multi-tool, trading bulk and superfluous gadgetry for a sleek, streamlined design that contains tools you'll actually use regularly. It just plain looks cool, as well - an instant eye-catcher with style and charm to spare. But make no mistake - the Field Card is no mere novelty. Every tool on-board - full-sized folding pocket knife blade with frame lock, flat- and Phillips-head screwdrivers, locking carabiner clip and more - is forged from rugged stainless steel, as is the liner and frame that support it all. 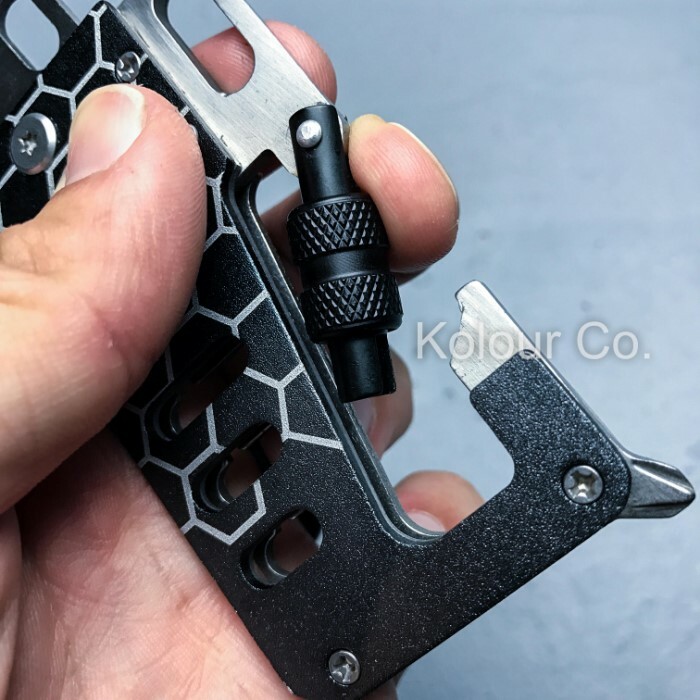 The Field Card is more than capable of handling quick everyday fixes - tightening screws, cutting cord and the like - but its remarkably sturdy build and unequaled versatility make it equally ideal for back country adventures, bug-out bags, emergency caches and more. 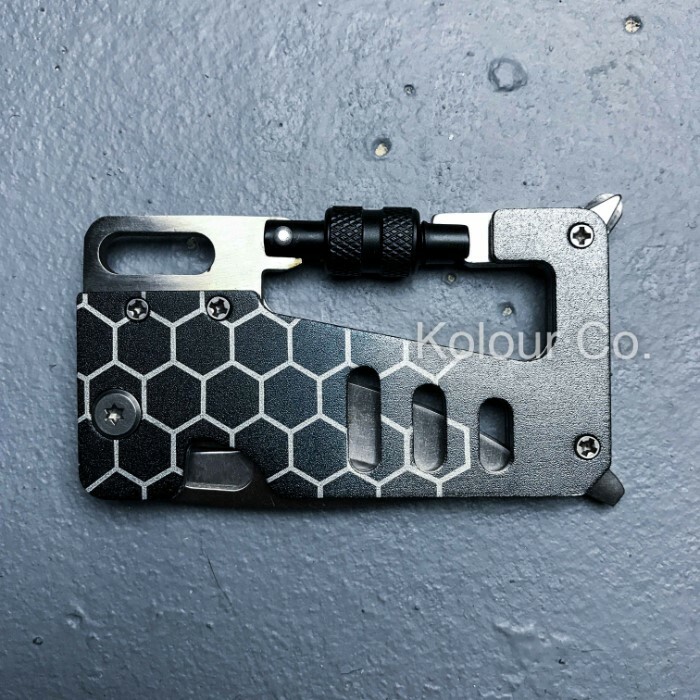 In fact, with a footprint smaller than the average business card, the Field Card is perfect for any application that demands maximum strength and utility, as well as minimal space consumption and weight. 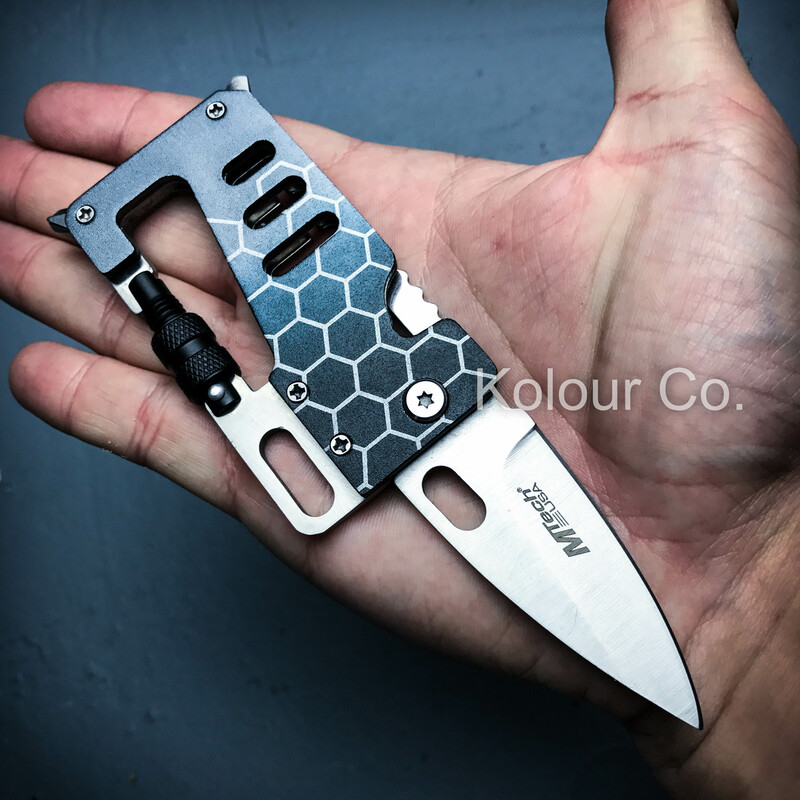 So ditch that awkward, unwieldy "butterfly" multi-tool and trade up for something practical and chic. 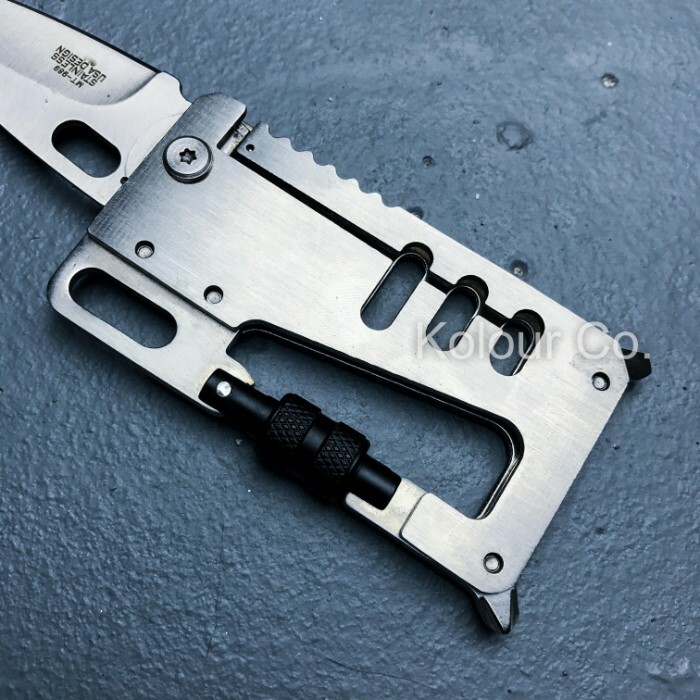 Unlike those veritable "brick phones" of the multi-tool world, MTech USA's smart Field Card Pocket Knife and Multi-Tool will never be relegated to your toolbox, vehicle console or countertop, as you'll want it - nay, NEED it - on your person at all times!